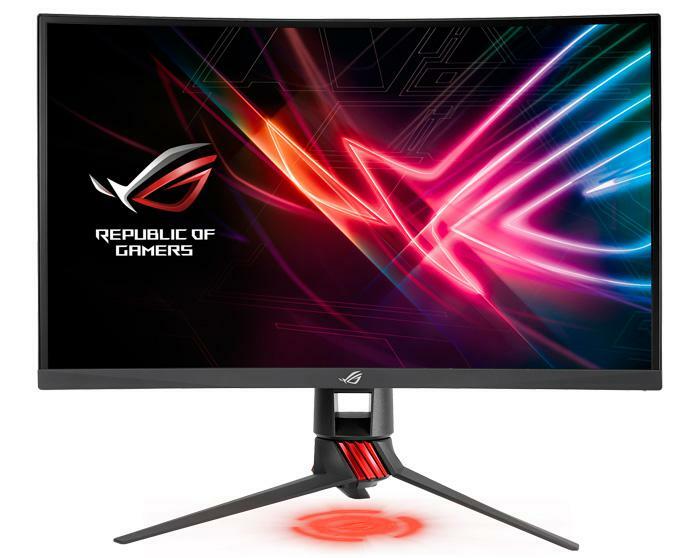 Meet the ROG Strix XG27GVQ 27-inch Gaming Monitor by ASUS. 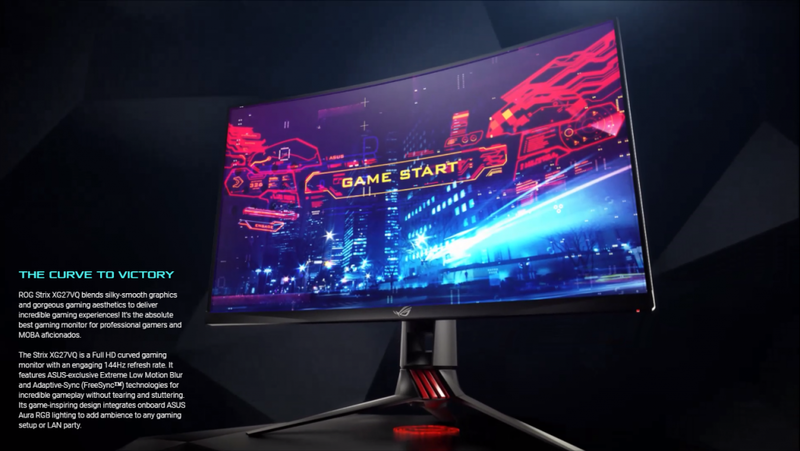 The monitor, new in the XG series, features 1800R curved Full HD resolution, 144Hz Refresh Rate, and AMD FREESYNC technology. It sports a gaming-inspired design and has ASUS’s Aura RGB lighting and a customizable projection of the ROG logo below the monitor, which looks amazing. For Indians, the price is $300 due to the shipping and import fees. 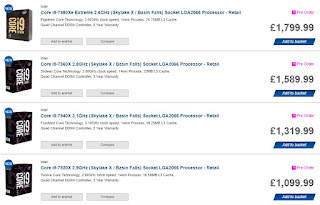 If you wish to pre-order the price is almost doubled, hence it is a good idea to wait. The monitor uses a 27″ Full HD (1920×1080) 1800R Curved Display and features 144Hz Refresh Rate along with AMD Freesync technology for enhanced, immersive and smooth gaming. 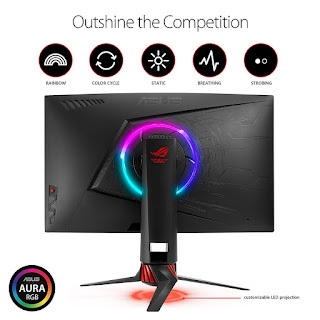 In addition to the gaming-inspired design, the RGB lighting on the back side and a projection of the ROG logo underneath the monitor gives the monitor a phenomenal look. ASUS Eye Care technology – minimizes eye fatigue and ailments with flicker-free backlighting and blue light filters. 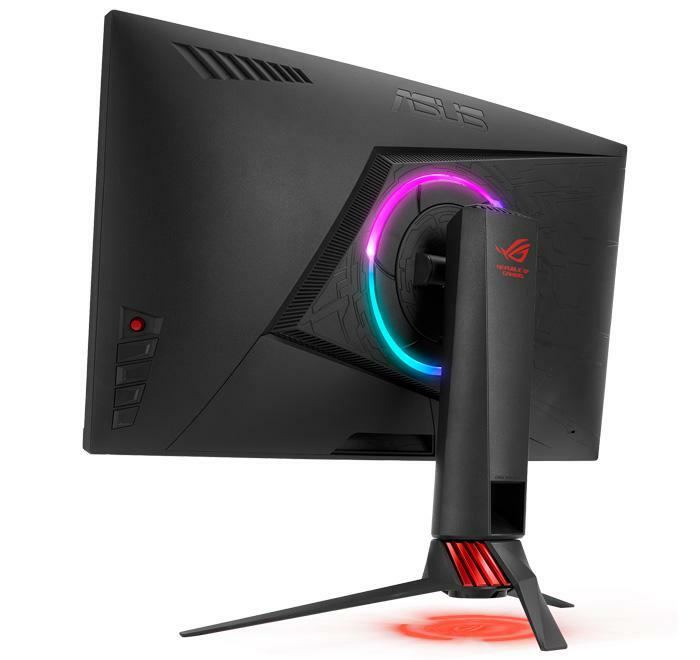 ASUS GamePlus technology – is also present which tracks the amount of time played, FPS counter, crosshair overlay, hotkeys, and more. ASUS GameVisual technology – It has different modes for different games, like FPS, RTS/RPG, Racing, sRGB, Cinema, Scenery and MOBA modes. 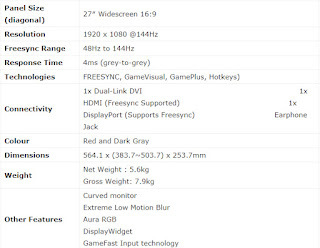 Response time for this monitor is 4ms (grey-to-grey), and FREESYNC range is 48~144Hz. 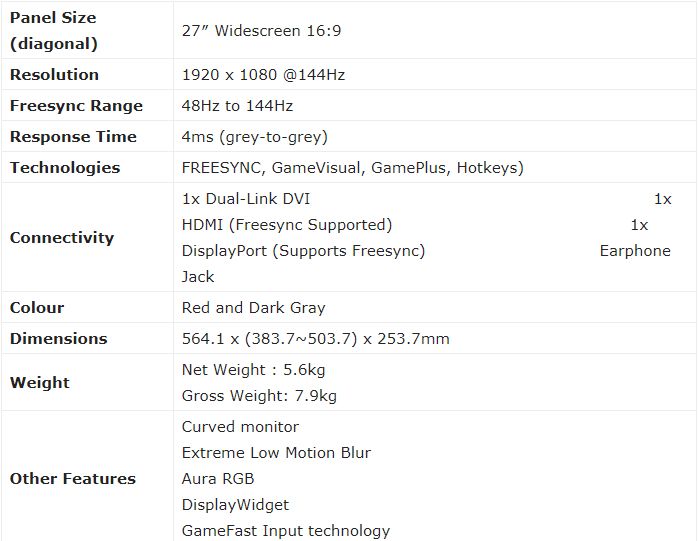 Other specifications are present in the chart below. 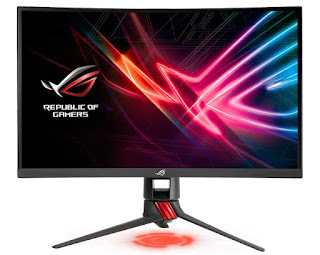 In conclusion, the monitor is an absolute beast in this price range and could be the best budget monitor for under $400, and possibly $500. 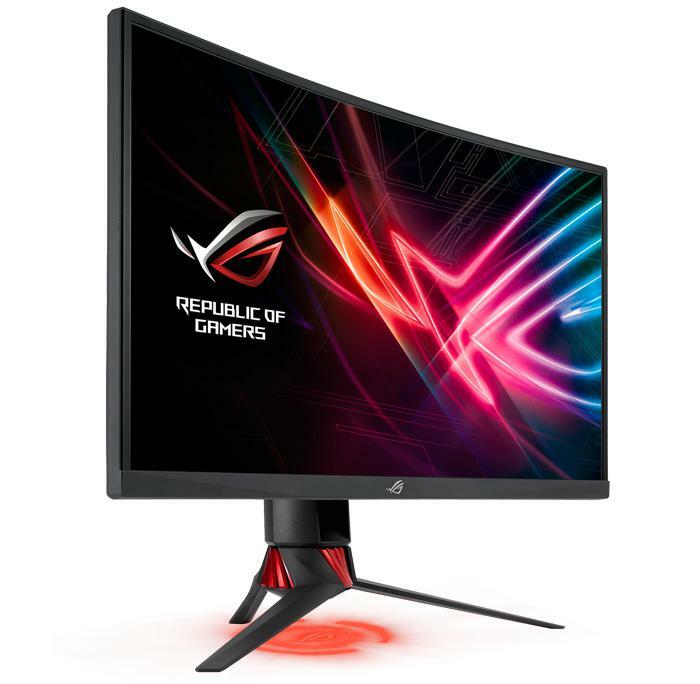 In some weeks the orders will arrive, and so will the reviews by YouTubers and we’ll see if the monitor is as good as it seems. Fittings Guide : A guide on how to select fittings for your build.